We are excited to announce that Senior Day at the Capitol 2019 has been rescheduled after the early March bomb cyclone event. Apparently, Mother Nature had a better idea for the date than any of us. Be assured there is room for everyone who has signed up at the new location. Our basic schedule remains the same as before, with a breakfast/networking beginning at 8 AM. So far, it appears that the program will be much the same as what we advertised earlier, with some possible minor changes. As soon as we get all the information we need to create the new program, we will get it to you. We appreciate your patience and understanding. It was a huge disappointment to us when it rained, snowed, and “blowed” on our “parade” on March 13th. We were also out considerable expense due to the cancellation – most of it for food that, while unusable for us, was put to good use at Denver Rescue Mission. As a small non-profit run by volunteers, we appreciate any financial support you care to provide to help us cover some of the thousands of dollars of costs that we were committed to spend with the first event. and other members' only resources. 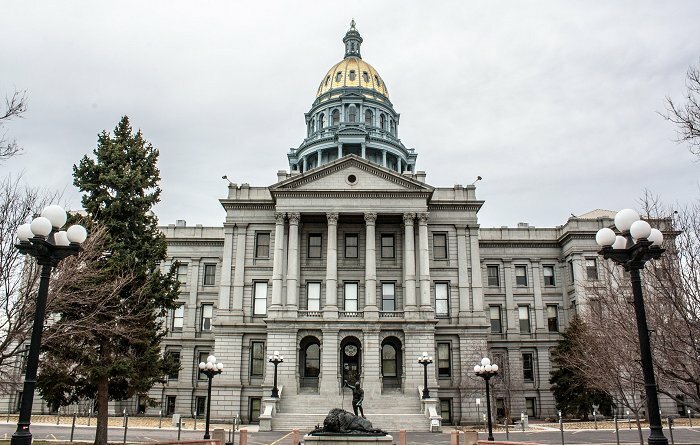 "The month of March marks the one-year anniversary of the passage into law of Colorado House Bill HB18-1091, also known as the 'Dementia diseases and related disabilities' law, which now clearly defines people with multiple forms of progressive cognitive diseases as having a disability. This law did not just happen; it took the work of a lot of people, including the personal initiative and effort in starting the process by Colorado Senior Lobby's own Kelley Horton. Senior Day at the Capitol is Rescheduled! Why Attend? Meet legislators, elected officials, Senior Day Sponsors, learn about what is coming for older Coloradans in the next decade and potential impact on future legislation. CSL – with you on board works to improve the health and well-being of Colorado’s older adults. Become a participant in the policies impacting your life. We will be live streaming Senior Day at the Capitol 2019 on Thursday, April 11th starting at 9AM. See website for event details. "The sixteen AAAs (Area Agencies on Aging) in Colorado receive OCP funds via the State Unit on Aging (Department of Human Services). The AAAs identify unmet needs and gaps in services at the local level. 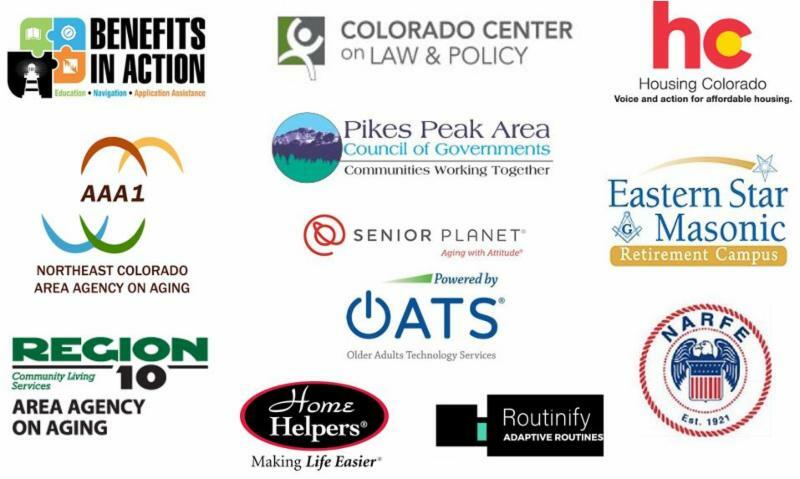 Then, through a competitive process, AAAs award funds to local organizations to provide essential services to older adults and caregivers ..."
The Colorado Senior Lobby website has a link on our home page to the “Find My Legislator” web page on the Colorado General Assembly website. Each of us should know who is representing us both in the Colorado House of Representatives and the Colorado Senate. Write this information down and keep it handy – better yet memorize it. Now when you are reading or watching news, listen for your legislators’ names and follow what they are talking about. Sign up for your legislators’ newsletter and town halls. With this approach, when an issue comes up you will be ready to contact your legislators. Thank you 2019 Senior Day Sponsors! We still have a few sponsorship positions available. Call 303-832-4535. Please share this eNewsletter with friends through Facebook, Linkedin or with any other groups. More than ever, Coloradans of all ages need to be engaged and watching the political landscape. 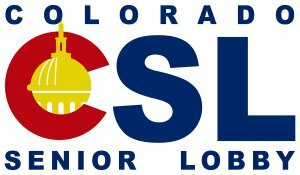 The Colorado Senior Lobby eNewsletter is created by Seniors Resource Guide.com.